A spirit of thankfulness is one of the most powerful traits every Christian should embody. It’s actually a characteristic of faith that is often forgotten or overlooked. We can easily get caught up in what we don’t have or what someone did to us that was wrong. Sadly, we harp on things that annoy us or gossip our negative opinions more easily than we give compliments. When we live our lives overwhelmed with contentment and gratitude, we have an abundance of peace, blessing and the favour of God. Thankful people don’t get offended. We can forgive others when we remember the forgiveness God has extended to us. Thankful people are humble. The Apostle Paul models this as he celebrates other people’s success. Thankful people are full of peace. They trust in an Almighty God who will provide them with supernatural peace in every situation. Thankful people are “others” focussed. They see the value and potential in people because they understand how God has used them. Thankful people want to see others blessed and prospering. Thankful people are generous. A spirit of thanksgiving produces a generous spirit because we recognize everything we have is a gift from God. Lord, when I look at my life, I truly have so much to be thankful for. You have blessed me in many ways. Help me to focus on this more heavily than the struggles I face. Thank you for your word which brings life and direction to me. I want my reputation to exemplify the qualities above. In Jesus’ name, Amen. Instead of focussing on what stresses me out and what worries me today, I am choosing to be grateful. If I’m not careful, however, I can allow this positive perspective to shift to complaining and criticizing. Just looking at Facebook status updates halfway inspires me to join the plethora of groaning about everything from what sports team lost to which side of the political isle is stupid to what a bad day we are all having! It reminds me of the Israelites who walked across the Red Sea on dry land; shortly thereafter, they remembered with fondness the wonderful food they could eat as slaves in Egypt and longed for those days, complaining about the Lord’s miraculous provision of manna. The very thing that they were saved from is the thing they ended up wanting to go back to time and time again. I can remember a time not too long ago when I was desperately seeking God to provide us with a house we could live in and at a good price. God miraculously provided the perfect location, a newer house, the price we wanted, fabulous neighbours, and more. Yet upon moving in, I quickly started complaining about the smallness of my kitchen. I hated the sounds of the barking dogs around me during rest time. I lamented the small backyard. I made excuses to my guests and compared it to my spacious kitchen in Texas. For crying out loud, I have to keep all of my food in the makeshift pantry I created in the laundry room closet beneath my staircase! If I’m not cautious, my desire to please God daily can be overturned by my own rotten attitude at times. Paul persuades us to “Do everything without complaining and arguing” (Philppians 2:14). What pleases God is an attitude of gratitude. The Israelites never quite got this and it actually kept them out of the promised land. They missed out on all that God had for them going around the same mountain over and over. God called them a “stiff-necked” people. Stubborn and hard-headed were they indeed! How quickly we can shift our tune from gratitude to complaining. And, like the Israelites, we can miss out on all that God has in store. Let us steward the things he has given us with a grateful spirit. The grass isn’t greener on the other side. I can look at what is before me and see the redeeming work of Jesus in my family, the health of myself and my kids, our progress in building Lift Church, and I’m astonished! I won’t waste time turning back to long for another day or another way. We must turn our focus onto the things within our reach instead of the things we can’t change or influence. We can’t control what has been placed in our hands but we can control what we do with it. 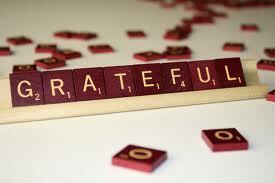 Here is another post on gratefulness from a year ago!